Earlier today, we wrote about HTC and Samsung releasing the GPL-compliant kernel source code for their respective Google Play edition flagships. We knew that it was only a (short) matter of time, however, before the firmwares would be repackaged for use on standard devices. 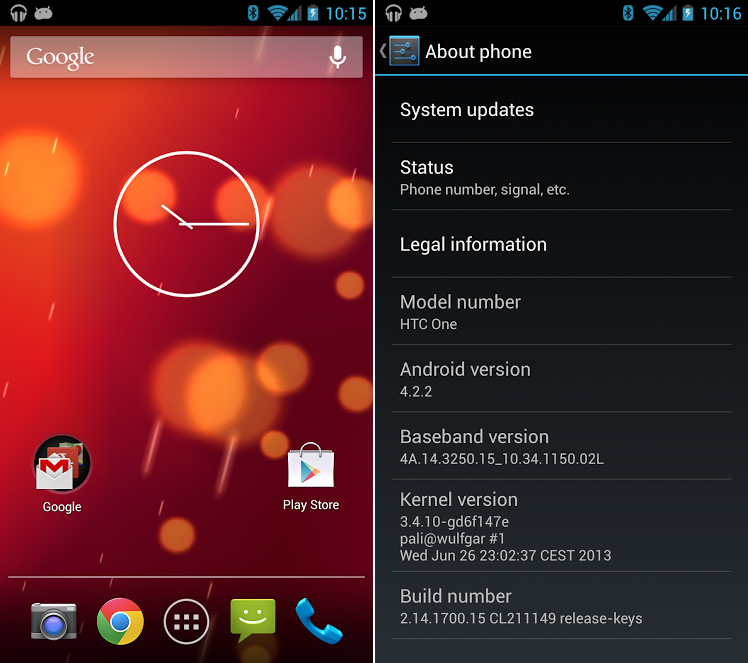 The first repackaged Google Play edition firmware for the HTC One has landed. It comes to us from XDA Senior Member bigxie, and is based off of a system dump captured by Jerry Hildenbrand. This version has been pre-rooted with busybox installed, and it remains Odexed. To get the goods on your own HTC One, you first have to own a GSM HTC One (Unlocked, T-Mobile, or AT&T variety). The install procedure is just a simple flash through a custom recovery, though you also need to do a factory reset if you’re coming from any other ROM. Several builds were also released for the Galaxy S 4 coming from various XDA Forum Members, including jamal2367, janjan, m3dd0g, and HazAnwar. They all appear to be derived from the I9505GUEUAMFD dump, but some appear to be more functional than others. The choice is also yours regarding Deodexed versus Odexed. Similar to the HTC One build, flashing is just a few clicks away through your custom recovery. Itching to get this on your own device? If so, head over to the HTC One thread or any one of the Galaxy S 4 threads (jamal2367, janjan, m3dd0g, HazAnwar) to get started.